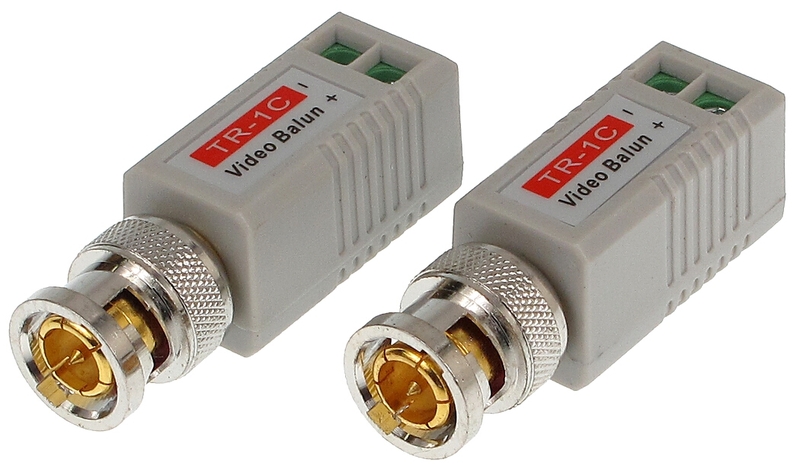 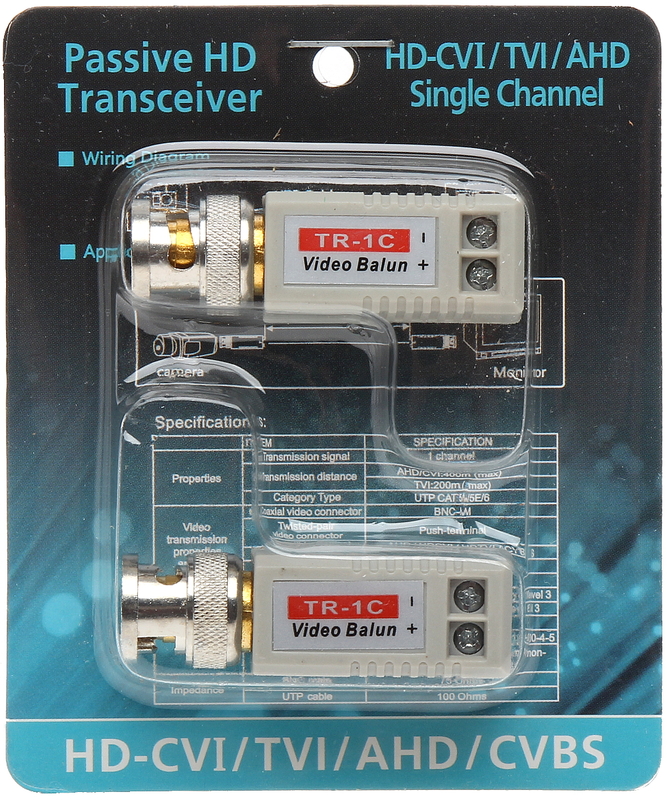 The TR-1C*P2 is designed to video signal transmission via twisted-pair cable. 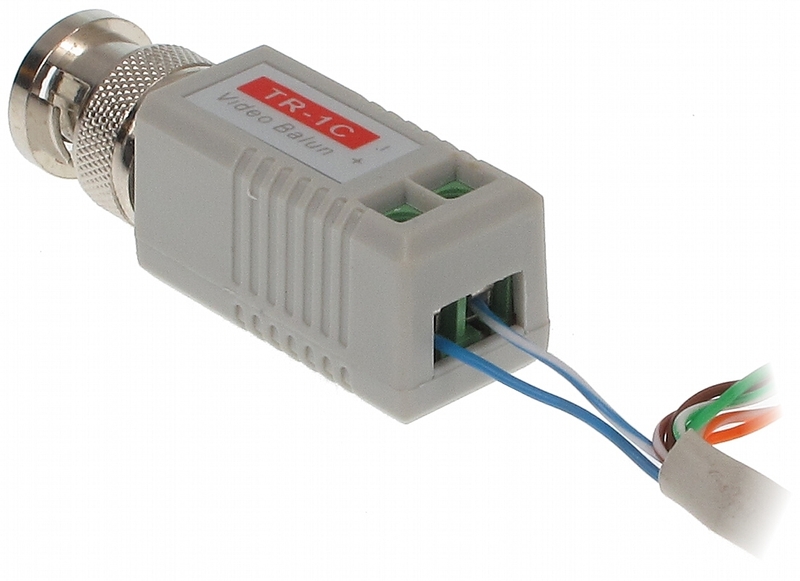 The device adapts the impedance of coaxial cable 75Ω to the impedance of symmetrical line, ensuring transmission of video signal up to 400m (twisted-pair cable category 5) and eliminates asymmetric interferences. It is important to pay attention to linking the adequate terminals: (+) and (-). 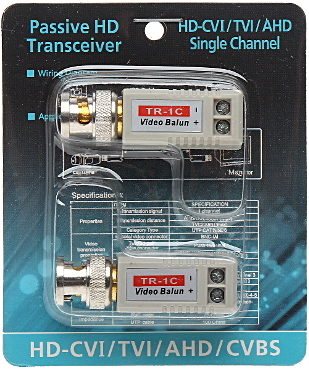 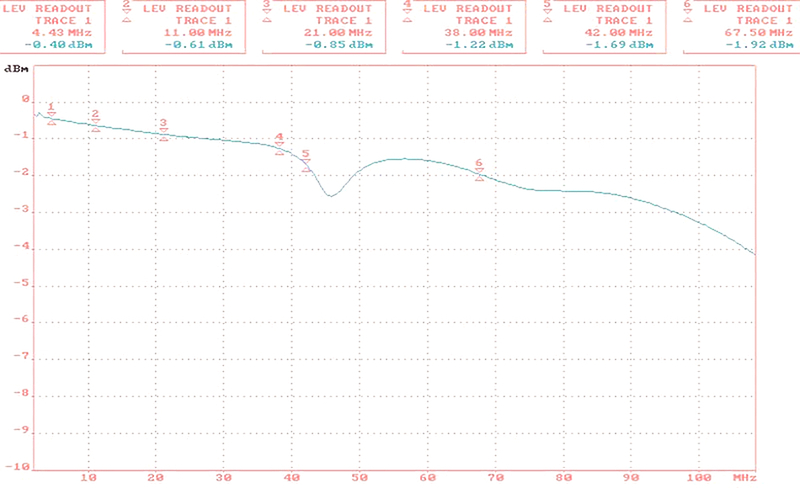 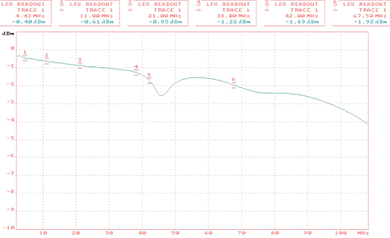 Reverse connection would cause distortion of image. 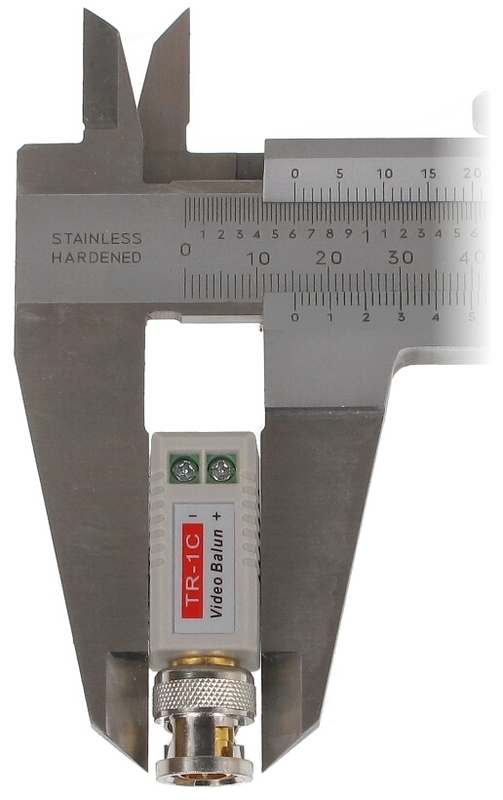 Tiny dimensions allow to easy montage of the transformers even in case of thick BNC sockets mounted.